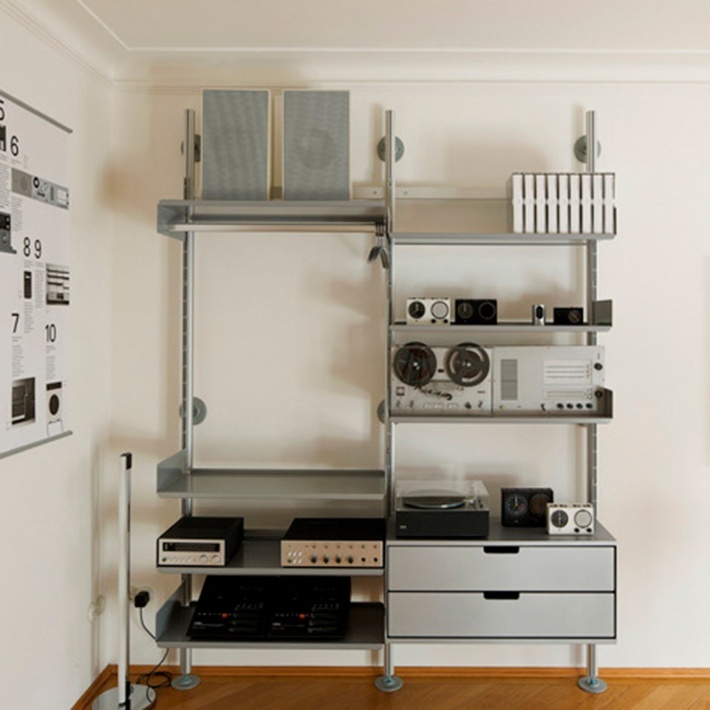 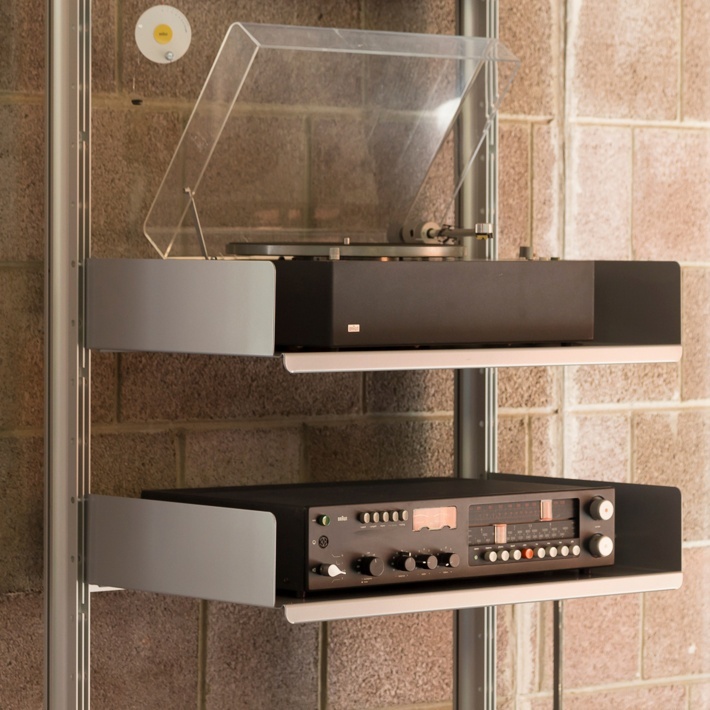 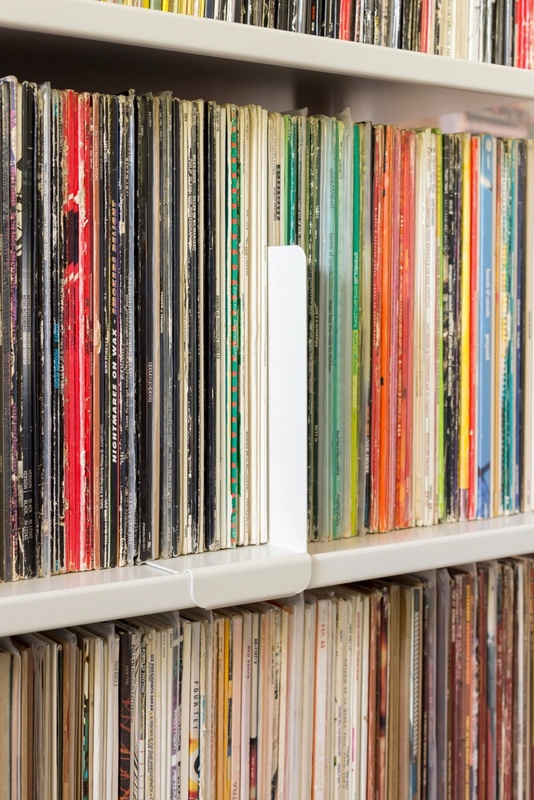 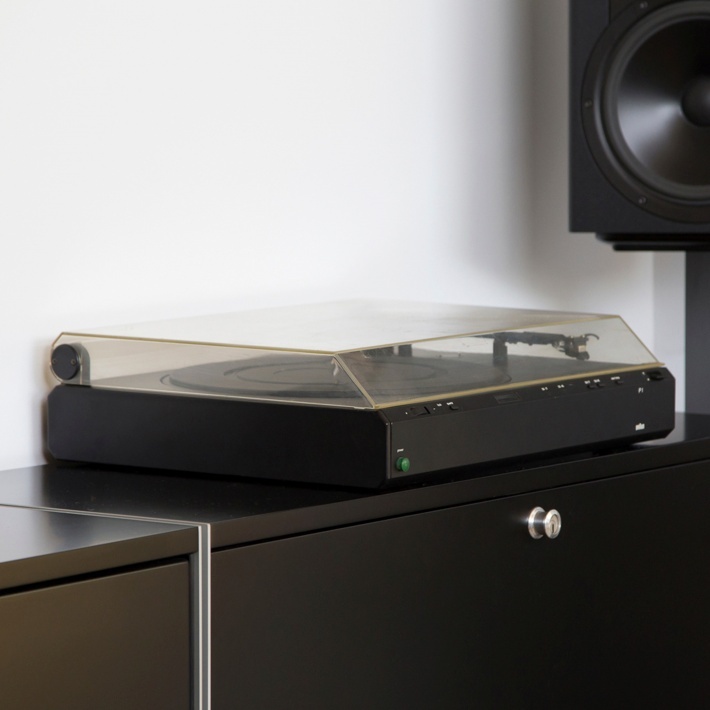 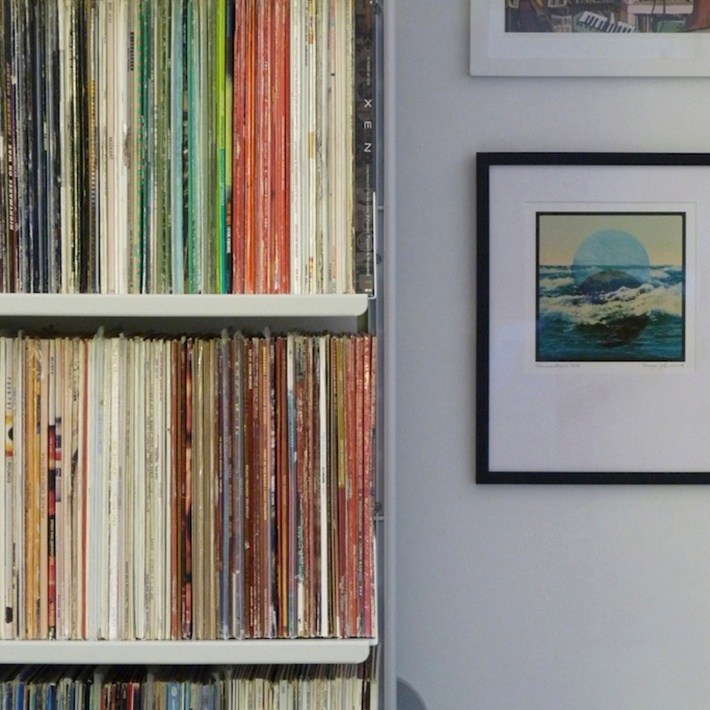 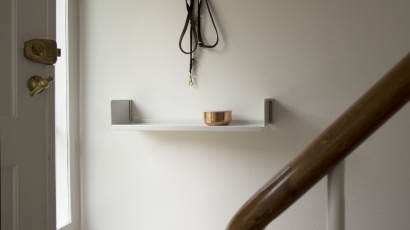 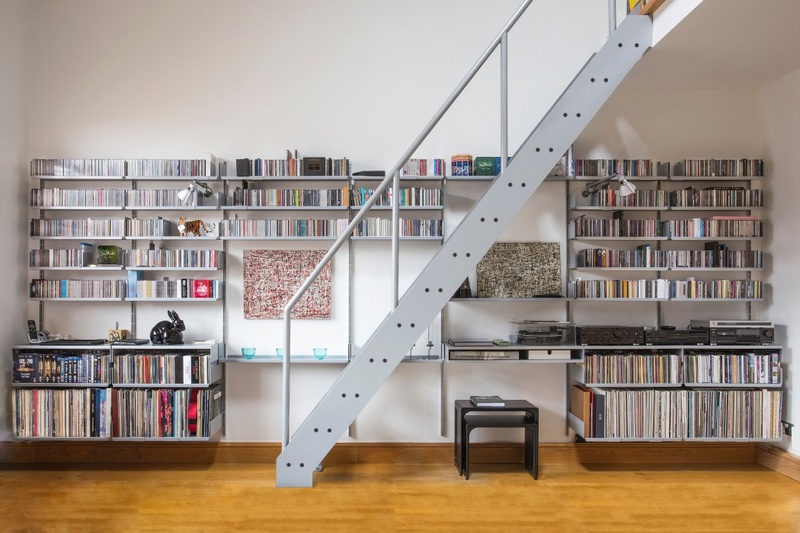 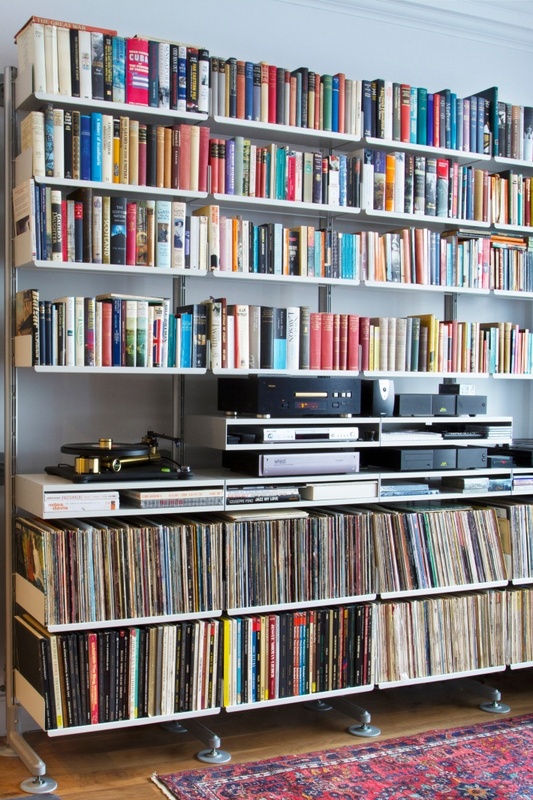 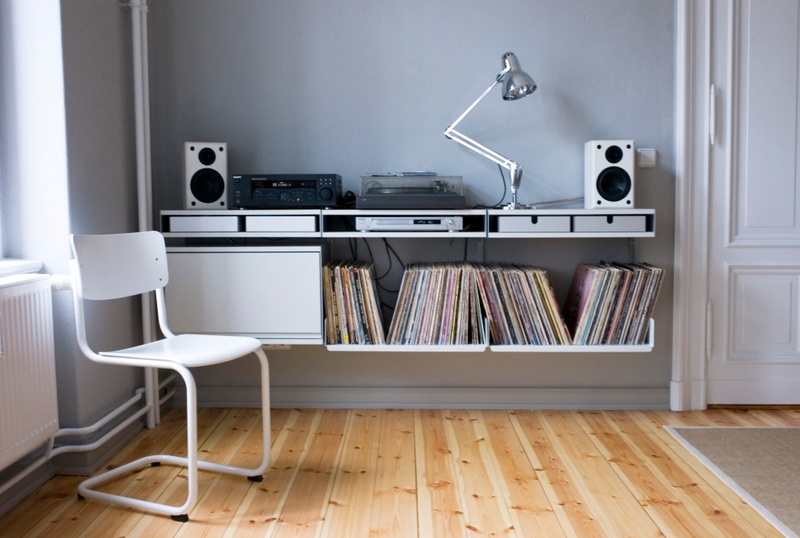 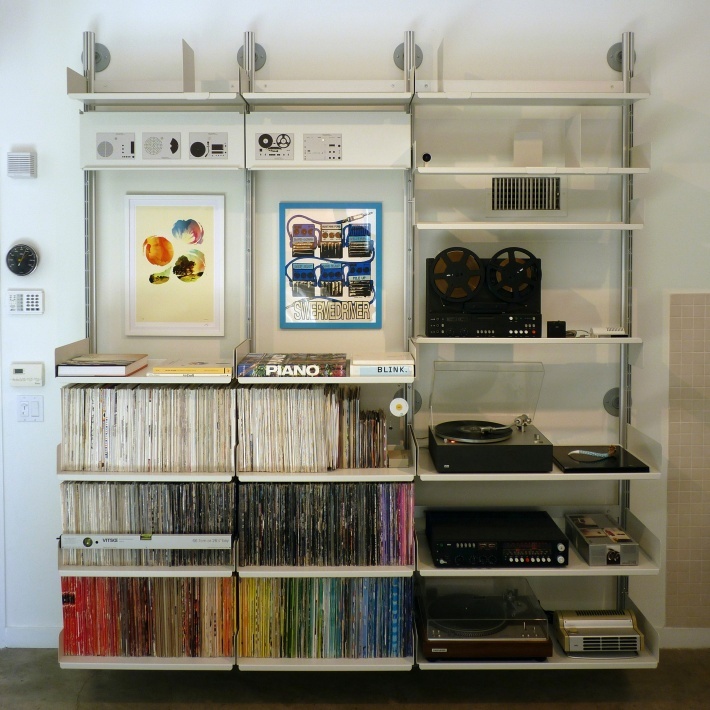 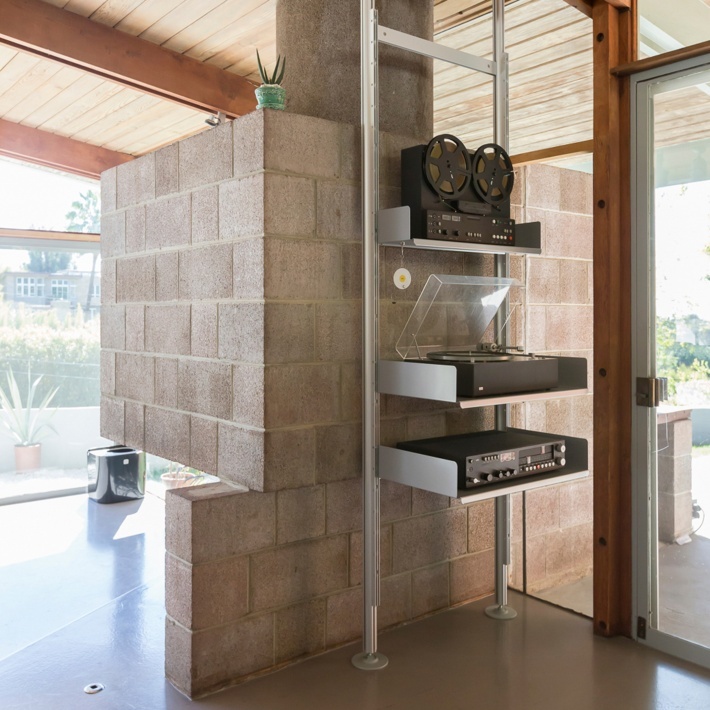 Here semi-wall mounted shelves accommodate LPs and some fine examples of Braun HiFi designed by Dieter Rams and team. 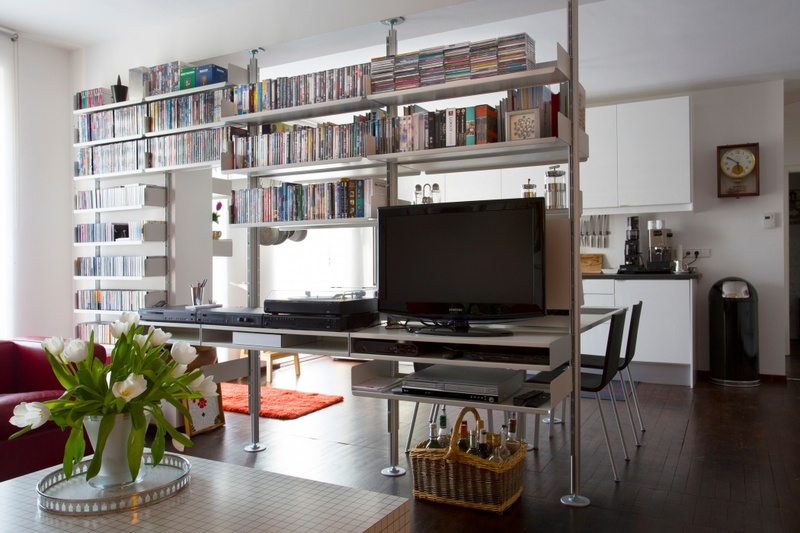 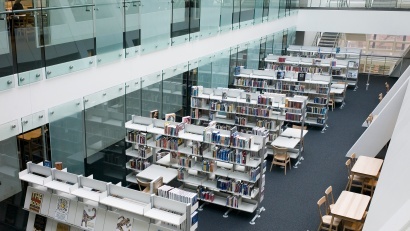 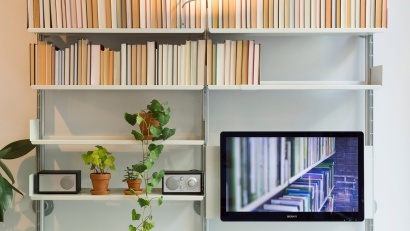 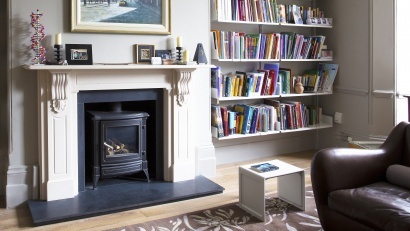 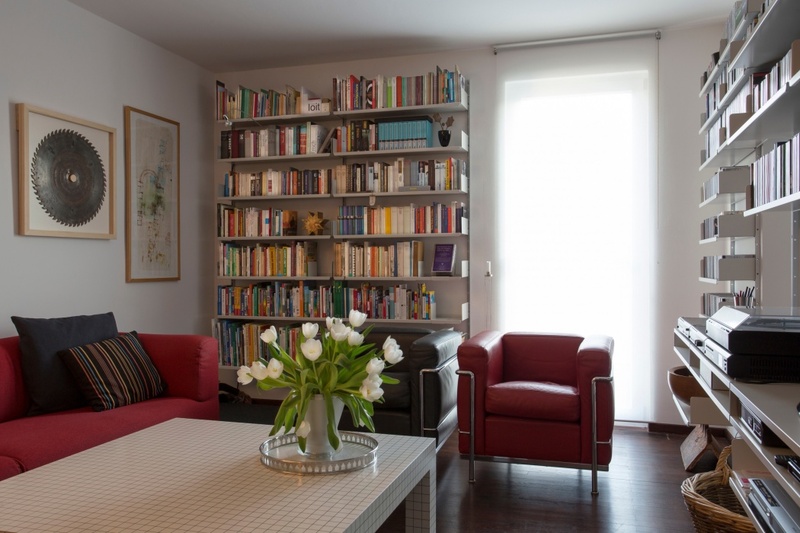 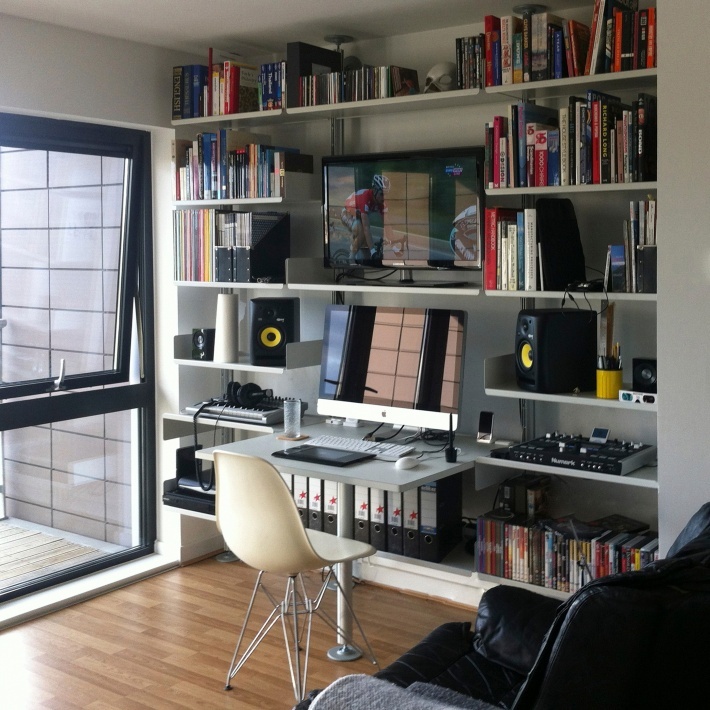 Note the flat surfaces created by rotated shelves above. 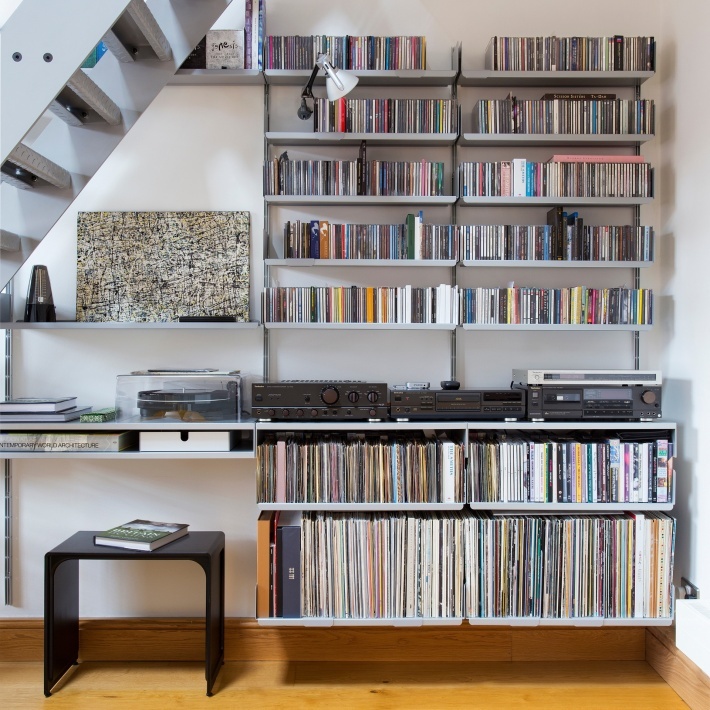 Use magnets to display cards and notes.